1.) Mood: Sleepy, is that considered a mood? 2.) What is your favorite snack? Ruffles Sour Cream & Onion chips, hands down. Healthy snack? Apples with a bit of peanut butter. 3.) Waterproof mascara-- yay or nay? I don't use water proof mascara because when I used to have it I felt like my lashes took such a beating. 5.) Do you wear a watch? Everyday I wear my BCBGMaxAzria black leather watch. I will try to feature it better in an Outfit of the Day video. I love it! 6.) What is the ring on your cell phone? Super boring, regular ring to ensure I hear it! 8.) If you had to do one, would you rather sky dive or take a deep-sea boat 300 feet under sea level? Under the sea, so I could feel like Ariel. 10.) Weekly goals: To try a new recipe for a spicy beef casserole (if it's good, I will share:), film my January Favourites video and finally figure out how to replace my faulty smoke detector. Sounds awful that I am putting it off right? Eek! Here's Pacific Blue from Sally Hansen. Again I am loving bright colours in winter and this one is no exception. It lasted so long that I actually took it off because my nails were growing out! I can't rave enough about Sally Hansen's wear. This will be a great choice in the summertime too! This is a great product for anyone, whether you are a mom or not. Today's must-have item is dry shampoo. 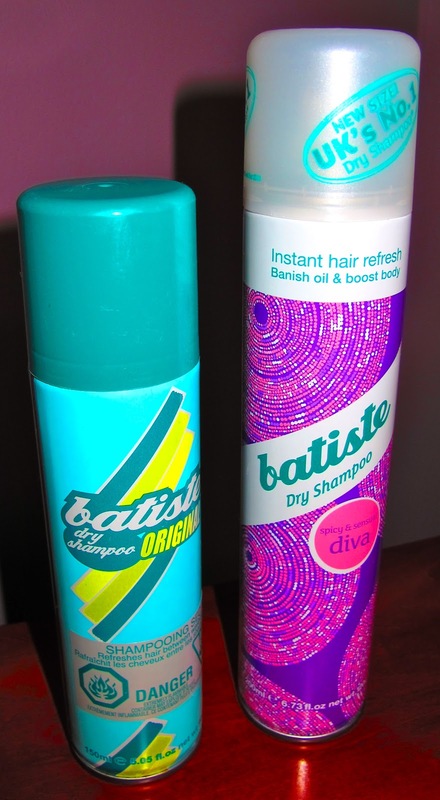 More specifically, Batiste dry shampoo. I like to also refer to this baby as life-changer/goodbye bad hair days/no more oil. It's not good to wash your hair every day, any hair dresser will attest to this. 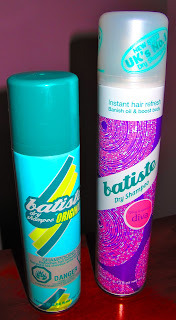 So on the days in between washes, I use Batiste. You just spray it on your roots, massage it in with your fingers, wait a few minutes and then brush and style. I actually think on the days I use dry shampoo my hair looks better than when it's freshly washed. My hair is super oily but I can go two days without washing. Amazing! It's also good to use in the evening if you need a pick-me-up to your 'do. One word of caution, I've heard that other types of dry shampoo can make your crown look grey. Obviously no one wants that! Even Batiste can look grey when you first spray it on, but as long as you massage it in, the colour changes don't worry! I've seen it at Winners and Superstore and if you click the link above you can order it online with free shipping. Thanks to Emilie for changing my hair life! If you watched my Grocery Tips Video you will know that grocery shopping is one of my least favourite tasks. I am usually feeling uninspired when we sit down to plan out our meals for the week. My husband could eat the same thing week after week whereas I need variety and get bored very easily. This past Sunday was no exception. I sat there leafing through cookbook after cookbook, with nothing tickling my fancy. I have the best intentions of trying out new recipes but get intimidated by the long lists of ingredients always thinking to myself, "wouldn't it just be cheaper to eat out/eat KD?". Also, sometimes a recipe only calls for a small amount of something but if it doesn't come in bulk form, you have to spend a lot and only use a teeny tiny portion. Anyways, enough ranting about meal planning and grocery shopping! My mum always says, "be happy you can afford groceries". That shuts me up! So, getting to the point. I decided to try Shepherd's Pie. This is an easy to follow recipe, involving very few ingredients. In fact, I barely had to buy anything as most of these items we keep stocked. This is the recipe I used. It is from The Joy of Cooking cookbook. Underneath the recipe I will explain how I changed a couple things to make up for what I had in the cupboard. Bring potatoes to a boil, add a teaspoon or so of salt, and cook until tender but not waterlogged, 10-15 minutes. Reserve 1/2 cup of the cooking water and drain the potatoes. Then mash, adding the cooking water along with 1 tablespoon butter and salt and pepper to taste. Beat with a wooden spoon until fluffy. You could also use a bit of milk. Preheat the oven to 400°F. Heat a skillet and coat with cooking spray or oil, over medium-low. When hot, add vegetables and cook until soft. Increase the heat to medium and add the meat. Cook until most of the pink is gone and then sprinkle with the flour and cook, stirring, for 2-3 minutes. Add the stock, herbs, and salt and pepper. Reduce the heat to low and simmer, stirring occasionally, until thickened, about 5 minutes. Spread the meat in a 9-inch pie plate or baking dish. Spread the mashed potatoes over the top. Bake in the preheated oven until browned and heated all the way through, 30-35 minutes. Allow to cool slightly before serving in the baking dish. Voila! If I can make this, anyone can:) It made six servings and could even be divided into eight if you had some sort of side dish like bread or salad. You may remember from my Top 8 of 2011 post that I was loving Carly Rae Jepsen's song Call Me Maybe at the end of last year. Still loving it, still putting it on repeat! Last night was especially cool because I had the chance to meet Carly! I also got to see her perform and was blown away. She has such a unique, powerful voice. She also was humble, funny and appreciative, all qualities I love in a performer. Carly debuted a few songs off her upcoming sophomore album, Curiosity, and I think it's going to be very popular. The tracks are catchy, well-written and showcase her talent as a growing artist. I think it's much stronger than her earlier work. 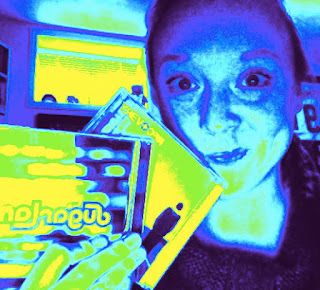 You can pre-order the album on i-Tunes already and also sneak a listen to all the songs there too. It was a real treat last night for me on one major level, speaking as a huge music nerd. I think for the first and perhaps only time in my life, I got to hear the number one song on i-Tunes performed live, while it was number one. Call Me Maybe has been number one for a few weeks now and I couldn't help thinking how amazing it was to see Carly rock out and close her set with this number one song. Honestly I wasn't immediately drawn to Carly's earlier songs but I am now counting down to Valentine's Day to buy Curiosity. Today for Wise Word Wednesday, I am posting my favourite poem of all time. My aunt and uncle first introduced me to it when I was 18 and living with them for my first year of university. I can remember literally sitting in their hallway with my notebook copying it from a framed poster on their wall. It now sits framed in our living room. 5.) If you could have any eye color, what would you choose? I actually like my eyes. They are blue and have yellow around the pupil so it looks like a little sunflower. 6.) Outfit of the day: Yet again it's too icy and windy to go outside. So my friend is coming over with her baby and we are going to attempt to do some yoga with the babies attached to us! So I am wearing a Calvin Klein blue cami and a pair of black H&M leggings. Exciting, no? 8.) Do you like karaoke? I am impressed by anyone who has the guts to do karaoke, but I never could! Even when we were on vacation in Mexico a few years ago and I didn't know anyone there, couldn't! 9.) When putting on pants, do you button and then zip, or zip and then button? Button, then zip. 10.) Weekly goals: Try out the walking track I found online to get some exercise in this cold and figure out a savings plan for some upcoming trips I have planned between now and summer. In order to be accountable, I thought I would write a quick update on how my resolutions are going. I have been wearing SPF on my face and neck every day. But, the only snag so far has been this cold snap we've been going through. The lotion with SPF doesn't seem to keep my skin hydrated enough so I have to reapply. It's so dry here! The healthy eating is going pretty well. I just allow myself treats on the weekend and have stopped eating after dinner. These two small changes have resulted in me losing five pounds since the beginning of the month. One interesting note about not eating after dinner: I find if I don't snack, I wake up not hungry. But on the weekend when I do have a snack late at night, I wake up starving! Being active has proven to be much more challenging with the weather. Luckily I have a 24 pound baby to cart around! I have discovered a local indoor walking track so we are going to try that next week to at least get some exercise. How are your resolutions coming? "He who trims himself to suit everyone will soon whittle himself away." 1.) Mood: Woke up to see that a lot of snow had fallen overnight and it's still coming down. Kinda makes me want to put on a cozy sweater and curl up by the window. Feeling a bit grumpy because I can't take the stroller out for a walk. 2.) What is your favorite genre of music? I'd have to say pop, which is pretty broad. I also love country and hip-hop with a little rock mixed in. 5.) Have you ever prank called someone? I think maybe in seventh grade. 6.) Outfit of the Day: Nothing exciting today, just black leggings from H&M and a long light grey sweatshirt dress from Roots. Very cozy. 7.) What is your favorite thing about winter? Least favorite thing? I love how the snow makes everything looks white, fresh and clean. I don't like being stuck inside when the windchill makes it too cold to walk. 8.) What time do you usually go to sleep at night? When I am working I try to be in bed by 8, lights out at 8:30 so I can be somewhat rested when my alarm goes off at 4am. Right now though I am on mat leave and so I usually am asleep by 10. Party animal right? I've always been more of a morning person than night owl. 9.) What was your favorite toy as a kid? I had a good friend in a teddy bear I named Zeddy. 10.) Weekly goals: My tripod arrived late last night so I have at least two videos ready and waiting to be shot. Also I want to do at least one bout of scrapbooking. I am a sucker for an awards show. I love the glamour, the fashion hits/misses, good acceptance speeches and just the whole feel of the night. 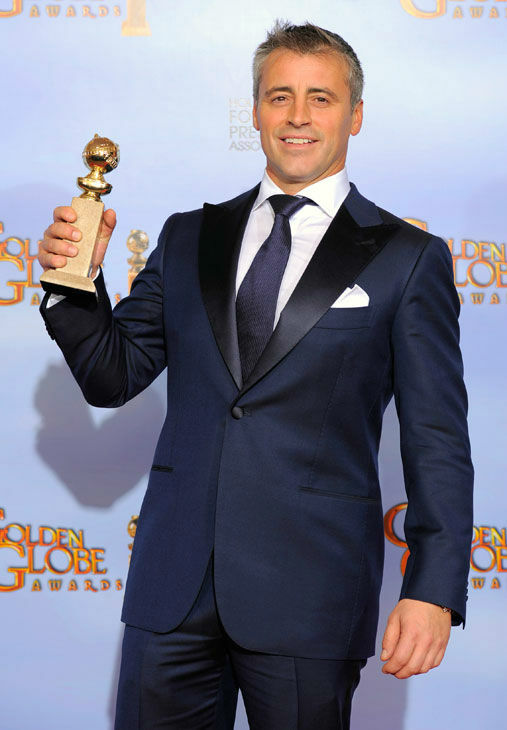 The People's Choice last Wednesday really kicked off award season and last night was the Golden Globes. This is usually a pretty good indication of who's going to take home Oscars. I didn't think there were any real surprise winners. (See the list here) But what I do realize is just how many high calibre television shows are being made on non-major networks. Read: networks I do not get. I am going to have to start hunting for shows like Episodes and Homeland. Also, I now have a massive list of movies to see. One thing I don't like is how many movies are nominated for award shows that have yet to be released. I can't wait to see The Iron Lady, The Descendants, and My Week with Marilyn, just to name a few. I love that Octavia Spencer won for her role in The Help but I think the cast got missed in other categories. That was an amazing film in my opinion. There was a lot of buzz and probably fear in the industry about what host Ricky Gervais would do or say last night after last year's performance. I thought he killed it last year and although he was funny last night, too tame for my liking. I think most of those celebs can be taken down a peg or two and he's great at it! My only question, how can I get a job as a seat filler? Bucket List. This time of year can be rough with the so-called winter blues setting in. Christmas and New Years are over, the resolutions get tough, and the next holiday (Easter) is months away. Where I live it can get really depressing because the clouds seem to sink in and stay. For months. So, when I am feeling down, I turn to music. In fact, when I am feeling pretty much any emotion I turn to music! But today's playlist is all about picking up your mood and giving you some inspiration or some comforting lyrics. I'm the Best - Nicki Minaj ("it's just me in my prime"
Now this is really giving you a glimpse of how eclectic my music taste is! This is another Essie polish. So impressed with the coverage and wear. Splash of Grenadine is the name and I got it in a two pack with a bright red and a sampler of nail polish remover. I thought I would photograph it with and without flash to show you that in some lights it looks more purple and others pink. Wouldn't you almost think it's two completely different colours? Today's must have item is this stroller cover. 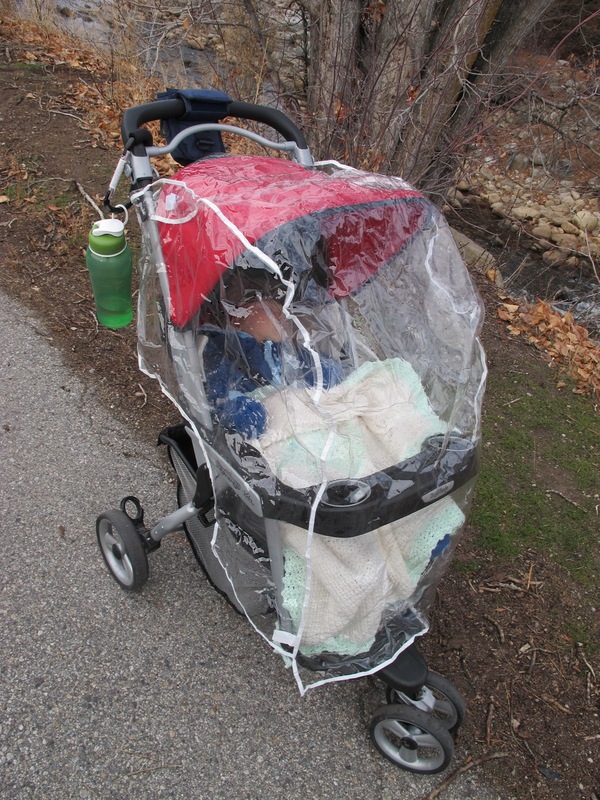 It has allowed me to take the stroller on long walks throughout the winter. It shields him from wind, snow and rain. His breath warms the space inside also keeping him nice and toasty. The plastic cover can fit any stroller I believe as it just uses velcro at the top to connect. It folds up nicely when we go into a store right on top of the stroller so I don't even have to detach it. I'm all about convenience! I scored this cover for free off a Facebook parent swap group but they retail for about ten dollars. In my opinion this is a priceless addition for a mama. Getting outside and moving really helps me. 1.) Mood: Excited! I just weighed myself and have lost two pounds since the beginning of the year. Cheers to eating just a bit healthier and moving myself once a day! 3.) What is your favorite treat during the fall/winter/holiday season? The peppermint mocha from Starbucks tastes like Christmas to me. 4.) Current nail polish: Essie's Splash of Grenadine on my fingers (will post a Nail of the Day) and Orly's Oui on my toes. I can't wait to show you Oui in a Nail of the Day. It was my first time using Orly and am very impressed. 6.) Current outfit: I'm about to go for a walk so it's nothing exciting: Old Navy yoga pants, Mossimo racer back tank and purple zippy from Garage. 7.) What were you for Halloween last year? Rudolph to go with my husband as Santa and our new son as a baby Santa. 9.) Where would your dream honeymoon be? (or if you've had it, where was it?) We went to Jamaica on our honeymoon and it was total bliss. 10.) Weekly goals: Film another video and if my tripod arrives then I definitely want it to be an Outfit of the Day. One of my favourite things to do in my spare time is read and I love getting book recommendations from others so I thought I would include book reviews on this site. To kick off my reviews, here is one in the words of my husband Jeremy. He is also an avid reader although he exclusively reads sports and music non-fiction. "I just finished an excellent book called The Lost Dream. It's the sad and twisted tale of former NHL'er Mike Danton. You might remember in 2004 he was the NHL player who got arrested during the Stanley Cup play-offs for hiring a hit-man to kill his agent David Frost. I thought I knew the story quite well already, but as it turns out I only knew a fraction of the story of Danton and Frost's relationship. Despite the fact that Danton tried to have Frost killed and did five years in jail, the two remain close to this day. 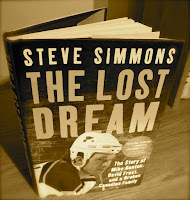 If you want to know the whole story you really should read The Lost Dream by Steve Simmons. 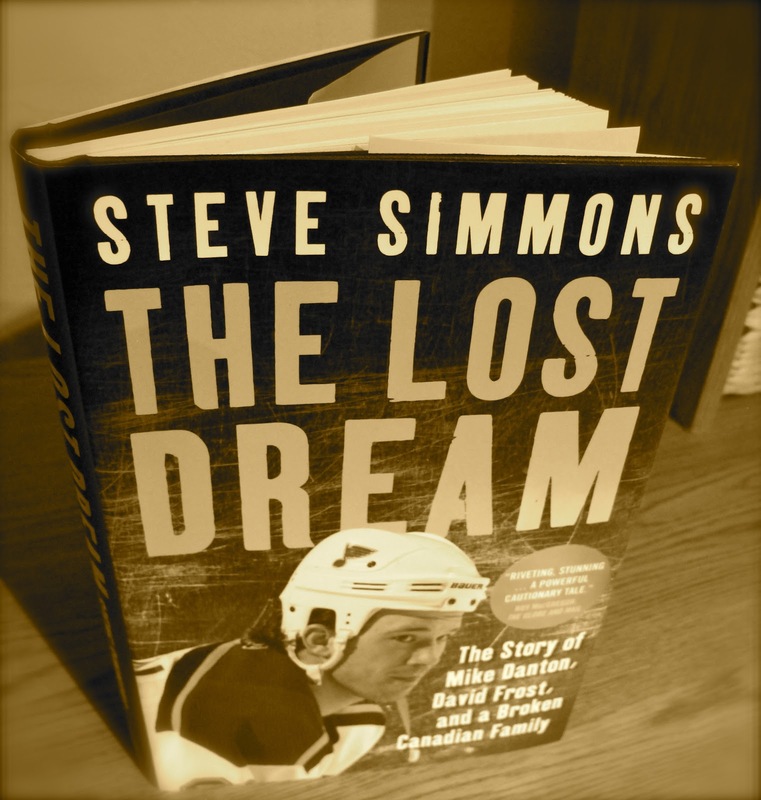 It's a page-turner for any hockey fan. (I read it in four days with an eight month old baby in the house!)" Eight days into 2012 and so far so good with the resolutions. Been wearing SPF daily. My first attempt at a french braid was miserable! The healthy eating is a slow change, but a change nonetheless. In fact, my husband joined me in having salad for dinner and that was the first time he's ever requested one. Progress! *Brush your teeth - I find this signals my mind that it is bedtime. Plus, nothing really tastes good after I've just brushed my teeth! *Keep you hands occupied - Maybe this is why I've been doing my nails so much, but if I paint them then that passes the time and I can't eat. So whether it's a manicure, folding laundry, cleaning, scrapbooking, knitting, playing on the computer...there are endless possibilities. *Don't buy it - This may seem so obvious and simple, but it works! We've been consciously buying healthier snacks and not having junk in the house. *Limit what or when you eat - Sure we have healthy snacks like nuts in the pantry now, but if I sit down with the bag, I will eat way too many! A friend of mine suggested measuring out a portion and then just eating out of a bowl so when it's gone, you're done. Also, we have started to just allow ourselves to eat junk on weekends. I look forward to indulging but don't go crazy. *Drink water - I've heard so many times that if you think you are hungry, you are in fact dehydrated and thirsty. I constantly have my water bottle within arm's reach. I think drinking water helps you lose weight too. This is another Revlon polish that I picked up Boxing Day. It is Copperglaze Platinum. I've had it on for about four days now and just noticed the teeniest of chips. I am very impressed with how the Revlon polishes wear. One thing about this colour and the last Revlon nail I did, here, when I initially put them on I wasn't impressed at all. I didn't like the colour either time but as the days progress they've both grown on me. I am however still on the hunt for the perfect brown colour. This is much lighter and more gold than I wanted. Admittedly this is not one of my best paint jobs! Also I promise to get better at taking pictures of my nails. But, here is today's Nail of the Day. It is Sally Hansen's Hard as Nails Xtreme Wear in Flirt. This is definitely one of the most inexpensive brands of nail polish I buy and it is one of the best. It wears so well without chipping. A funny back story to this colour (dark purple) is that my husband thought it looked brown in the bottle and bought for me as I asked for brown nail polish for Christmas. Not so much! Pretty anyways. it's wanting what you've got." 1.) Mood: Happy as I just woke up feeling great after going to zumba last night. If you've never tried it, zumba is such a fun way to exercise. 2.) Whenmaking a sandwich, do you care if one of the bread slices is the end of the loaf? Ew yes, I don't like the crust unless it's a loaf fresh out of the bread-maker. Then I like to have the top! 3.) What is the weather like today? Cloudy and cool, perfect weather for a morning walk. 4.) Current nail polish: Sally Hansen's XTreme Wear in Flirt on my fingers and in Cherry Red on my toes. I will post a Nail of the Day on Thursday to show you my nails. 5.) What ring setting do you keep your cell phone on at night: loud or silent? (Or the phone completely off?) We just leave our phones on a normal ring overnight. When I had a blackberry through work I would turn it off completely overnight so as to not hear my constant email updates. 6.) Current outfit: Old Navy brown knit sweater over a grey Mossimo cami, Old Navy stretch capris in a dark wash and my trusty black knee-high boots from Urban Outfitters. 7.) What is your favorite Disney movie? 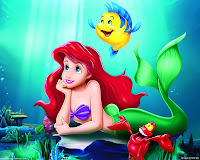 The Little Mermaid, hands-down. A redheaded lead? Please! 8.) Can you whistle using your fingers? No but I would love to be able to. Maybe that will be next year's resolution. 9.) When doing laundry, do you separate loads (lights/darks, delicates, etc.) or throw everything together? I usually just do lights and darks. 10.) Weekly goals: The dreaded take-down of Christmas decorations and continue to work on my healthy eating/exercising. So far, so good, one day at a time. ***Side note*** I hope you like these weekly questionnaires. I took the idea from one of my favourite new websites: Amarixe who I absolutely love. I think it's a good way for you to get to know me with random questions. Like I said, I am random! Feel free to answer these questions in the comment section or leave your own questions for me to answer. Do you make new year's resolutions? I feel like it might be a dying art to make goals at the beginning of the year. Hardly anyone I asked was making resolutions this year. I make resolutions every year, some I keep, some I don't. One year I remember making about seven resolutions! For 2011 I wanted to be better at keeping in touch with people on the phone rather than email and texting. I think I did a pretty good job for the first five months until my son was born in May. Then emailing became much easier! This year, I have a few: I want to learn to french braid, especially across the hairline to make it look like a headband. I hope to wear SPF daily. And not to sound cliche, but I want to eat healthier. I think referring to them as goals instead of resolutions makes it a bit different. Also, the key to success is attainable goals. I live for a to-do list. It's so satisfying to cross items off and be productive. Goals are the same to me.